50 Faith Autumn Stickers. These are ideal stickers to celebrate Harvest and Autumn festivals. 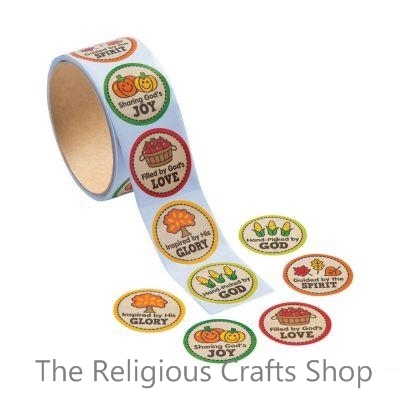 Each sticker has an Autumnal theme with a Christian message. Stickers measure approximately 4cm.